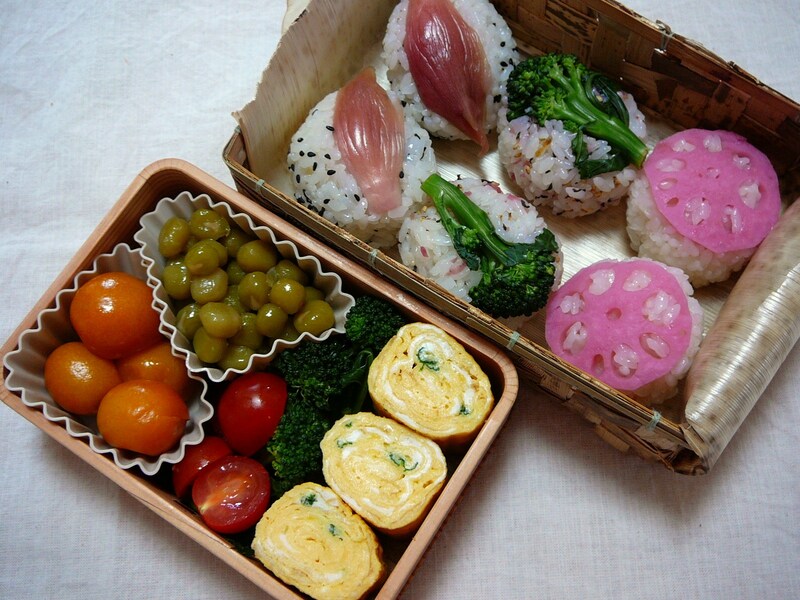 Today’s Bento/Lunch Box (12/16): Vegetarian Te-mari Sushi. Bento! 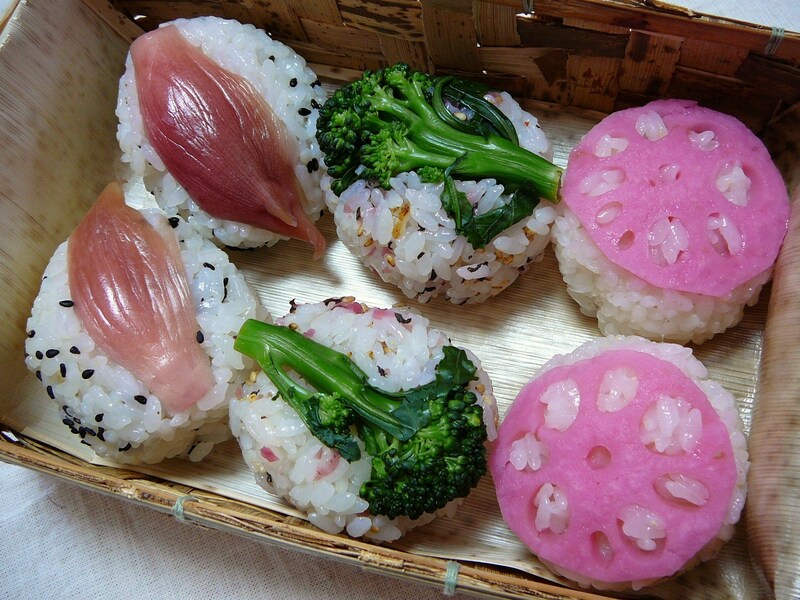 Te-Mari Zushi/手丸り寿司 means hand-made sushi balls in a spherical shape originally designed for geishas to eat easily. Mine are a bit bigger than the ones found in Kyoto. After all I’m of the male gender! From left to right: Home-pickled (amazu sweet vinegar) myoga on sushi rice seasoned with black sesame seeds, boiled stick broccoli on sushi rice seasoned with hijki sweet seaweed, minced pickled red cucumber and black sesame seeds and lotus root home-pickled in umeboshi amazu over plain sushi rice. 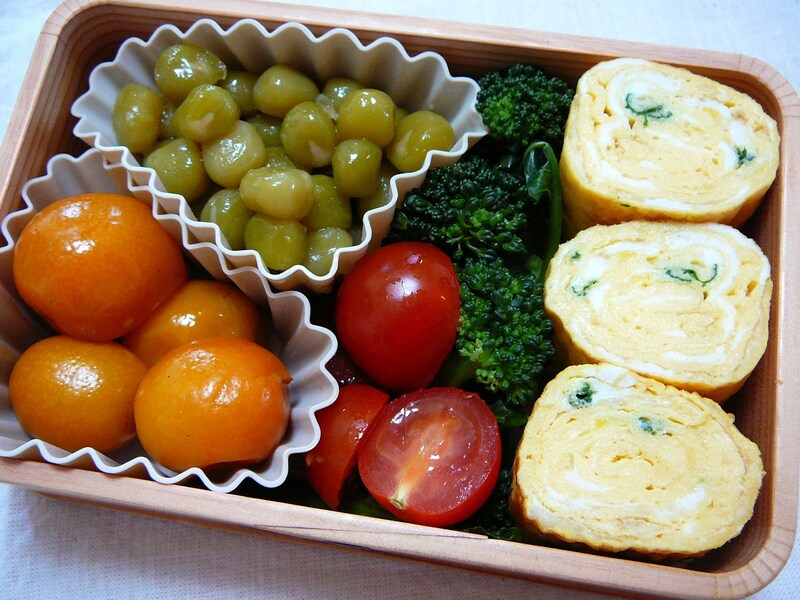 Left to right: on top sweet Japanese-style candied green peas above home-made kumquat compote, boiled broccoli and mini tomatoes in the middle and tamagoyaki containing cheese and parsley! Once a again a very colorful and really yummy bento!